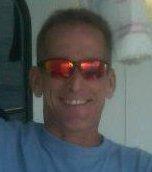 As some of you may know my brother, Rick Kuntz, was diagnosed with liver cancer in December 2010. Rick sought treatment for the liver disease at Jefferson University Hospital in Philadelphia. Rick’s liver was so damaged that his doctors told us that his only chance for survival would be a liver transplant. We have great news to share with you. On December 12, Rick received the gift of life – a liver transplant. Rick is doing well with his new liver and we would like to encourage all of you to consider becoming an organ donor. Without his donor, Rick may not have survived much longer. We are all incredibly grateful and humbled by the generous act of his donor’s family. Rick is getting stronger each day and hopes to return to work as soon as he is able. As you can imagine, Rick’s strenuous journey has led to staggering medical bills. Already, thousands of dollars of uninsured medical expenses have accumulated and will continue to grow because of the need for follow-up appointments and anti-rejection medications. Even with insurance, the cost of transplantation is overwhelming. Because of this, we must continue to rely on those with giving and caring hearts. To help ease the burden of these on-going medical expenses, a fundraising campaign in Rick’s honor has been established with HelpHOPELive (formerly NTAF), a nonprofit organization that has been assisting the transplant community for nearly 30 years. All contributions are tax deductible, are held by HelpHOPELive in the Mid-Atlantic Liver Transplant Fund, and are administered by HelpHOPELive for transplant-related expenses only. Please consider a contribution today. On behalf of Rick, myself and our entire family, thank you for you kindness, generosity, support and prayers. Hi Rick, I said a prayer for you today. I asked that god be near you at the start of each new day, to grant you health and blessings and friends to share the way. May the healing power of god renew you and bring you an abundance of love & hope.